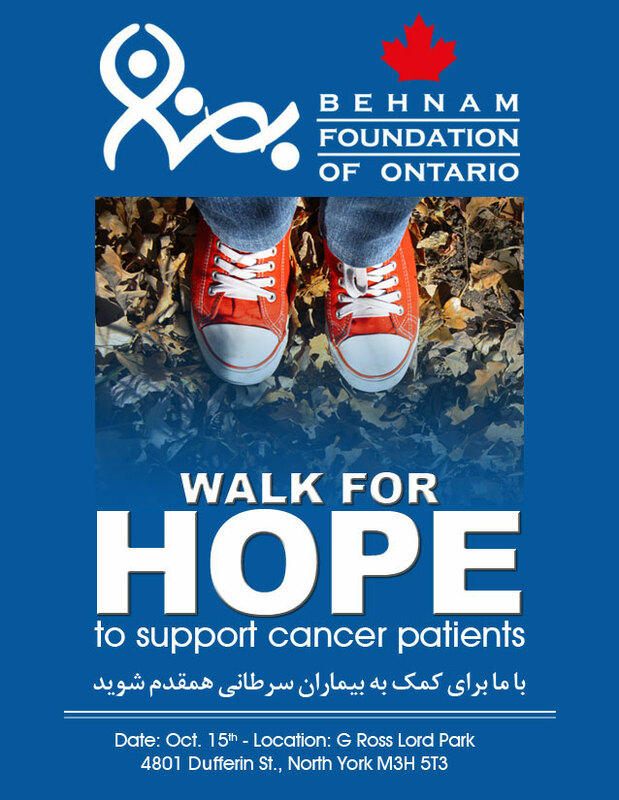 We invite you to join us for our 4th annual “Walk for Hope” on October 15th, 2017, where you’ll not only engage in a healthy exercise while taking advantage of the scenery and mild temperatures, but more importantly, you’ll help raise funds and awareness for patients with cancer and rare diseases in Iran. As always, this is a fundraising event which has been organized by BFO members and volunteers, and their tremendous efforts are greatly valued. Quite possibly, one of the most important things you can do for any charity is to spread the word! We urge you to invite your family members, friends, colleagues, and even your bosses to join our “Walk for Hope”! They may or may not register for this event, but you’ll have helped grow BFO’s network of volunteers and sponsors. After all, the more participants and sponsors we have, the more likely we are to change a life and bring hope to the lives of patients waiting for treatment.